These and many other tasks related to the college admissions process await you in your journey to a successful college application. What type of university or program are you interested in? A two year community college or a large university with leading research opportunities? A major university with a large athletic program or a liberal arts college? Have you decided on a major? Some students leave this until their second year of college but a defined major will help you select the appropriate college that caters to your field of interest. Do you want to be in a rural setting or do you picture yourself trekking around an urban downtown campus? Do you want to be close to home or as far away a possible? Ski town? Beach town? Is location important to you? Do you want to study in a rural setting or do you see yourself thriving on an urban city campus? Is it important to be close to home or is distance no consideration? Do you want to live on-campus, in off-campus housing or commute from home? These are just a few of the questions you will need to consider when choosing your college destination. The next 2-to-4 years will mark a major change in your life and there is a lot to consider when setting out on your college career. The college application process will be different for each school you consider. Remember, you need to start early so you have plenty of time to meet any and all requirements for each application you are going to make. 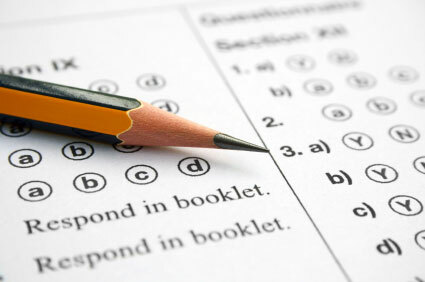 College entrance exams are another important part of the application process. The most common exams you will encounter are the SAT and the ACT. These tests are designed to measure a students academic accomplishments and readiness for college. The ACT and the SAT evaluate a students development in English, mathematics, science and reading. What is the purpose of aptitude tests like these? Colleges and universities use these test scores to immediately narrow down the huge volume of admissions applications that they receive each year.. Through these exams the college admissions board are better able to evaluate your academic achievements and your ability to succeed at a collegiate level. While the accuracy of these tests and their true ability to determine your skill level in certain areas has been debated, they do remain a requirement for admittance to most four-year American colleges and universities. Every student planning to go to an accredited college or university will have to take the ACT or the SAT before their college applications will be considered. Essays will differ from school to school and you may be asked to write about an important moment in your life or you may be prompted to answer a specific question. Theses essays allow the admissions board to gauge your ability to make a cogent statement and to develop a topic successfully, and it is through these essays that the admissions board will get to know you as a person while they evaluate your writing skills. The Go College admissions essay guide includes tips and strategies that help you develop a topic, respond to a scripted question, organize your thoughts, put them on paper and make appropriate revisions to reach a polished final copy. Many college applicants are required to provide one or more letters of recommendation along with their college application. This is a tool you can leverage to make your college application more powerful. Letters of recommendation can come from a favorite teacher, a counselor, a coach or even a boss. These letters are designed to emphasize your positive attributes, outline your scholastic accomplishments and demonstrate your extracurricular passions. A successful letter of recommendation explains why you are a prime candidate for a particular college or university.